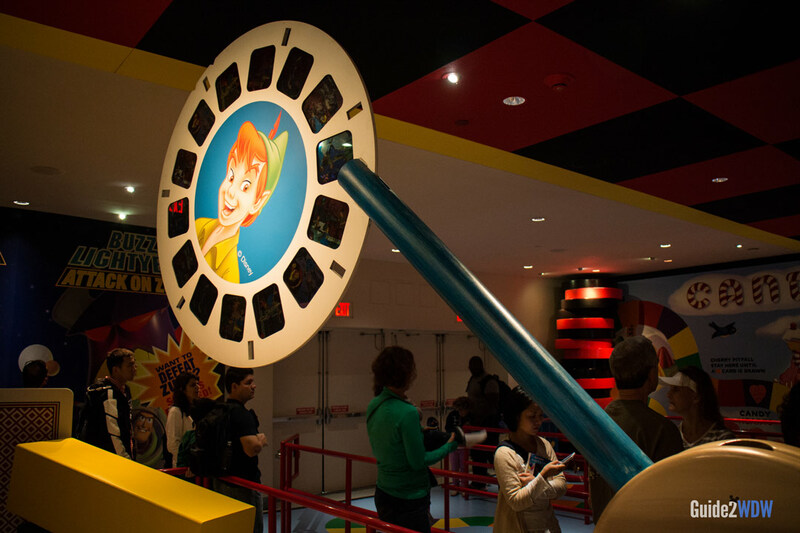 Join the gang from Toy Story and go for a high score in Disney World's awesome interactive ride. Compete against your friends and family in a series of frantic midway-style interactive games in Toy Story Midway Mania. Guests board a cart that moves from 3-D screen to 3-D screen, each featuring a different type of shooting gallery game. Each passenger has a cannon-type aiming device, and virtual shooting is achieved by pulling on a rope. 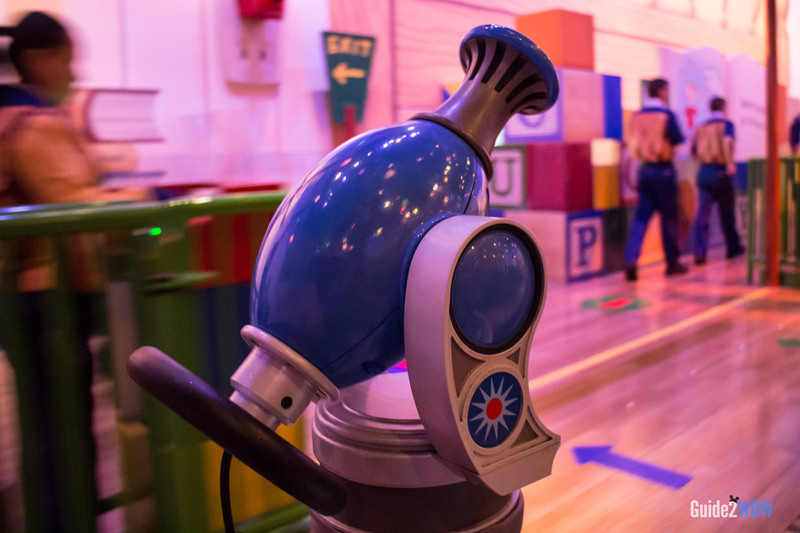 Knock down virtual targets and rack up points in each of the games: Hamm and Eggs, Rex and Trixie’s Dino Darts, Green Army Men Shoot Camp, Buzz Lightyear’s Flying Tossers, and Woody’s Rootin’ Tootin’ Shootin’ Gallery. The games are fun and responsive, and the 3-D graphics are great. This is one of the best rides at Walt Disney World. A definite must, even if the line is long. Want to know how to get the best score? 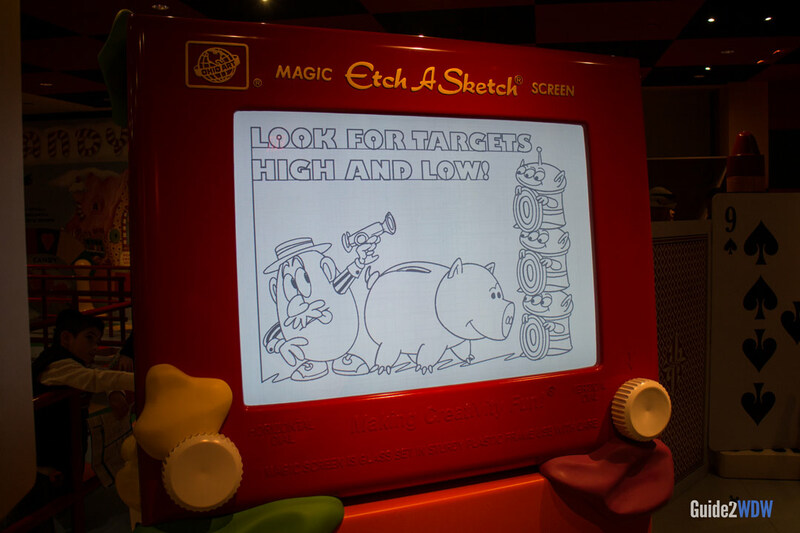 Check out our Toy Story Midway Mania high score guide, featuring the secret targets on each screen and strategies on how to uncover them. This new attraction is extremely popular so make sure to reserve your Fastpass+ as far in advance as possible. Focus on high point values (500 – 2000) which tend to be located at the very top or bottom of the screen.